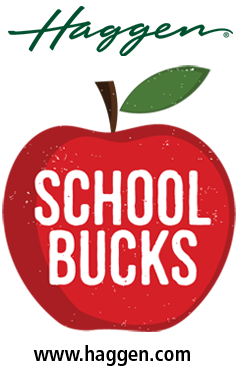 School Bucks starts September 3rd but Haggen/TOP Connection CARD members can start linking their cards to your school as early as Today! Every card member will need to Link or Re-Link their Haggen/TOP Connection CARD this year and every year. Remember the school of your choice is linked to your CARD until May 15 each year. Encourage parents, teachers, staff, friends and family to link their CARD to your school, too. They don’t even have to live near your school, they just have to link their CARD and shop at their local Haggen/TOP store. The more people linked to your school, the more money your school can earn. For general School Bucks information see our website www.haggen.com/grow-community/school-bucks/.